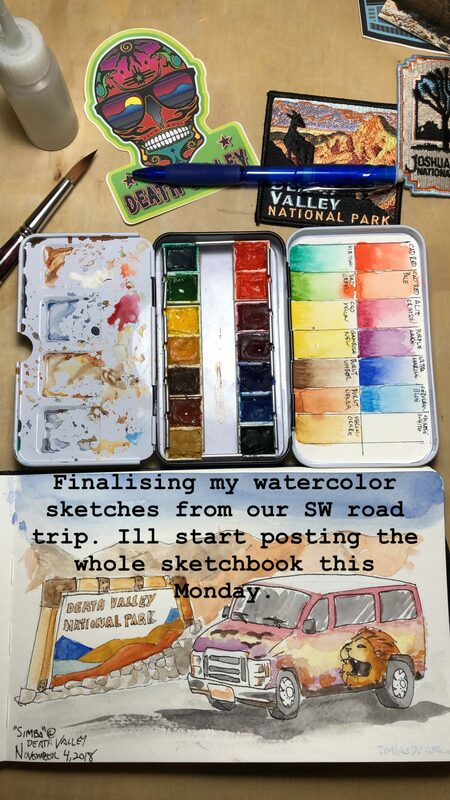 During my weeklong roadtrip with @tweetsandchirps, I kept a sketchbook and watercolor travel journal of our experiences and the wildlife we spotted. I had considerably more art supplies with me for experimentation, but this list is what I ended up using in the travel journal. It’s a project I’ve wanted to do for some time on all our travels through the years but never found myself with enough downtime and discipline to see it through during the trip and when we got home. Throughout the trip, I would post some progress shots on my Instagram, but didn’t share everything until the very end on my portfolio page. Process: Each day I would pick something new or interesting that I photographed or spotted on our trip. Sometimes I could draw it on the spot, other times I had to make some notes, do a quick sketch, take a photo, then finish in camp that night. There are quite a few pages that I had to finish when we returned home and painted from various references, but they still represented something I saw or experienced. The drawing would be very lightly sketched out in blue pencil to give me a framework, then it varied from inking with the multi-liner then painting or sometimes skipping the inking entirely and just being painted over the blue lines. I like both aesthetics and may end up bouncing between the two in future travel journals. 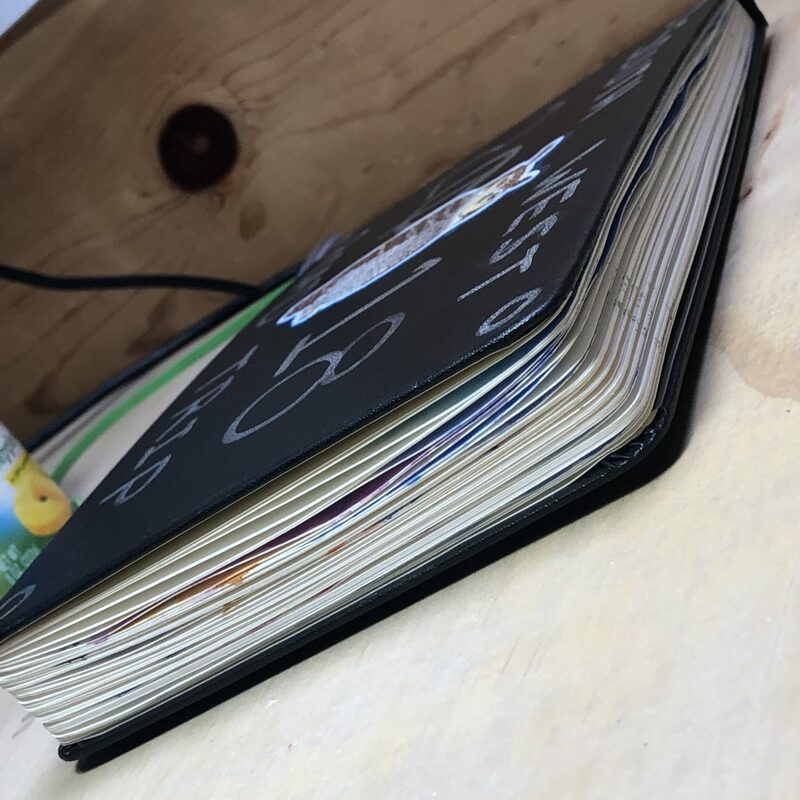 One thing I really enjoyed about the whole experience of filling the journal was watching the pages warp just ever so slightly and make the journal a bit thicker, fluffier. Overall I am extremely pleased with the results. 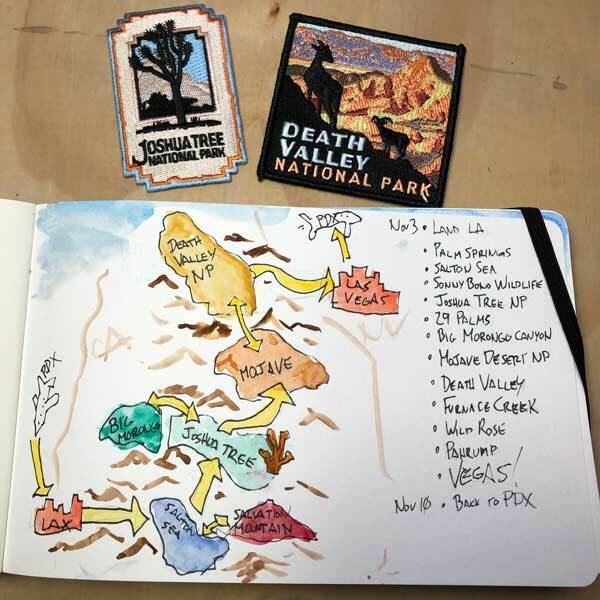 I had an idea, got to experience Joshua Tree National Park, the Salton Sea, and Death Valley in a unique camper van named Simba along with my amazing partner, Audrey. 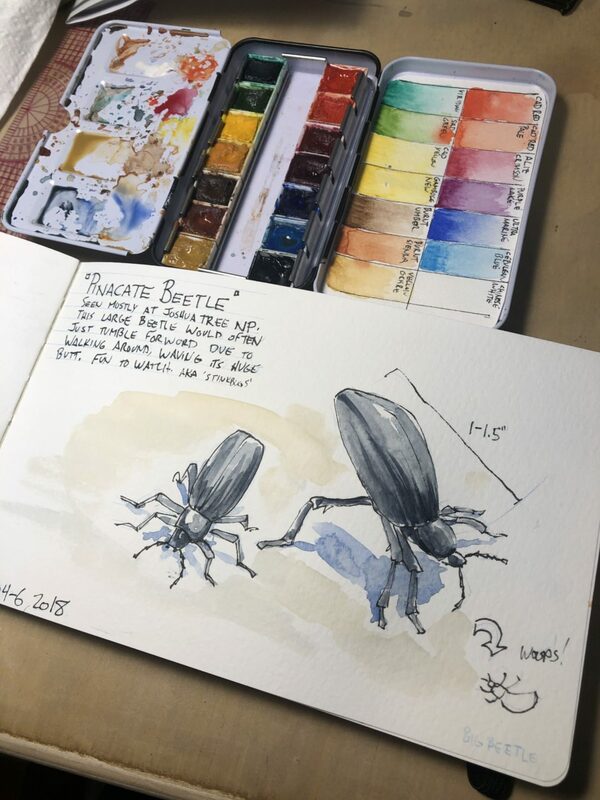 I posted all of the travel journal pages over on my portfolio page. What did I learn on this trip?